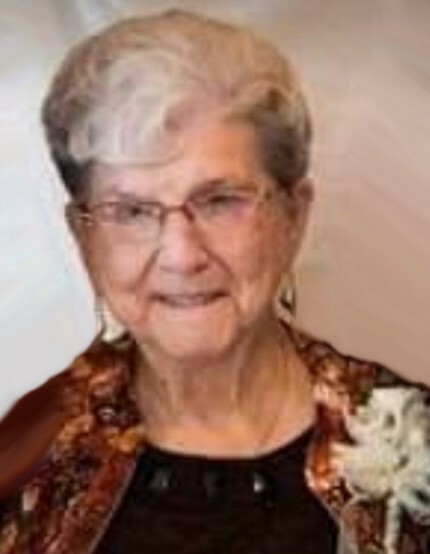 Peacefully at Bobby’s Hospice, Margaret M. (McLeod) Henderson passed away at the age of 86 on Tuesday, April 9, 2019. She was predeceased by her husband Ronald Henderson, sister Joyce Gillespie and grandchildren Danny and Angela Adams. Margaret was born July 31st 1932 in Lincoln, NB and raised in Sussex, NB and spent her married life in Saint John, NB. She was a proud member of the Women’s Institute and Waterford Lodge in Sussex, NB. She was also a long-time supporter of Bobby’s Hospice and truly admired the work they did. Our family is very grateful that she spent her last days in such a peaceful environment and was given wonderful care and attention from the staff and volunteers at Bobby’s Hospice. She is survived by her three children; Carol Craig (Corkey), Ken Henderson (Susan), Donna Adams (Danny). She will be forever missed by her grandchildren: David Craig(Kim), Steven Craig (Stephanie), Ashley Stevens (Andrew), Melissa Tremblett (Glen), Justin Henderson, great Grandchildren; Allyson, Matt, Alex, Carly, Isaac, Great-Great Grandchildren; Autumn, Avery, Raiden, Harper, Isabella, Anderson and her special niece Karen Burns, canine-companion and Great Pup: Sawyer who she had a special bond with. Visitation will take place at the Fundy Funeral Home, 230 Westmorland Road (646-2424) on Thursday, April 11, 2019 between the hours of 2-4 and 6-8 pm. A Celebration of Margaret’s Life will take place at the Fundy Chapel on Friday at 10:00 AM. Interment to follow at Ocean View Memorial Gardens. As per Margaret’s wishes, we are asking for family floral tributes only. If you wish, please consider making a memorial donation towards Bobby’s Hospice.